Last weekend my bestie and I went for a walk around my place as well as a bit of a drive to see what we could discover. A walk up the road in the morning was so nice. 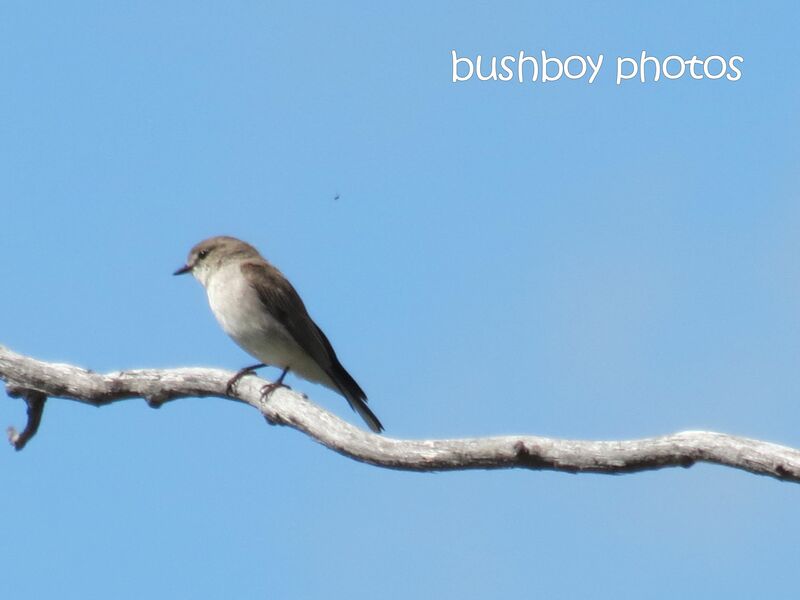 Listening to the birds in the bush, seeing them fly between the patches of bush and trying to get a photo or two certainly occupied the morning. 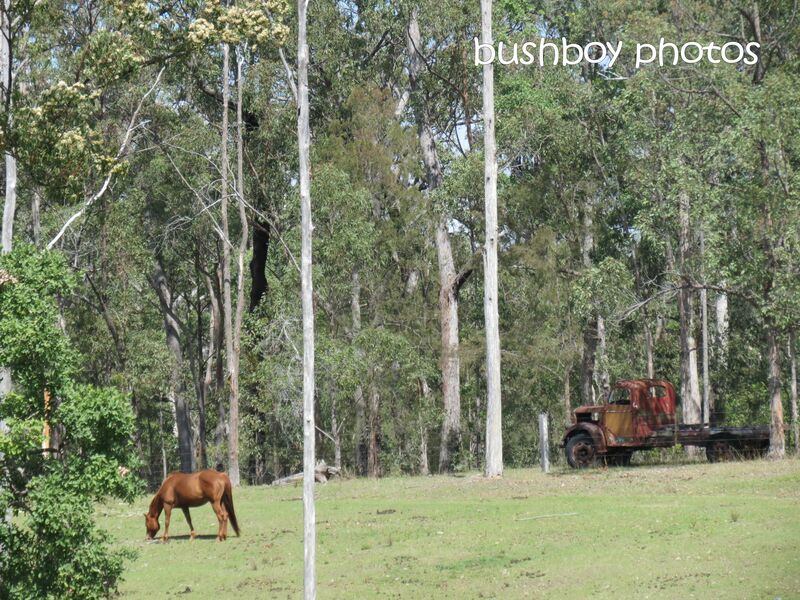 The property at the end of the road have dragged the old truck from one property to their front gate. It looked like a painting of a rural scene. We found a She-oak that I have never seen before along a track. It felt so soft to the touch unlike the She-oaks that are everywhere. It just cascaded to the ground and was much lighter in colour. 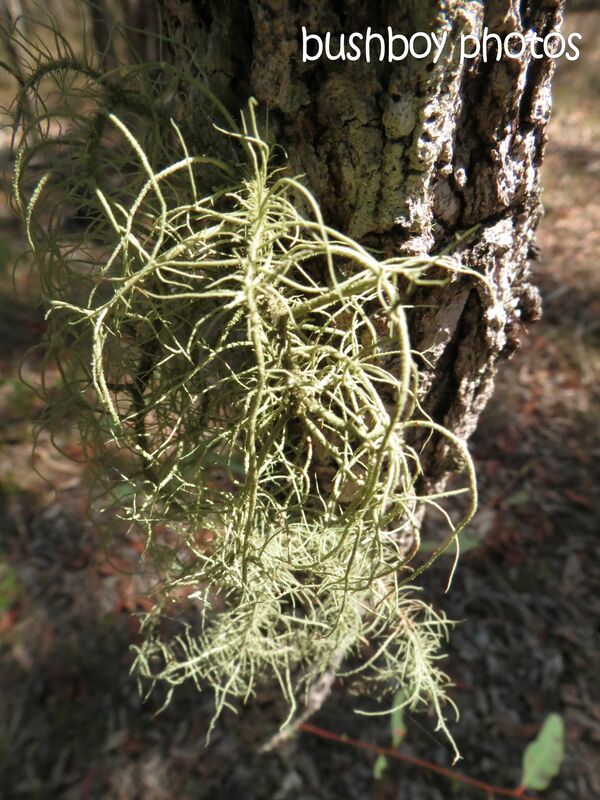 There seems to be a lot of air fern growing on dead wood as well as on trees. As the weather is warming up, lots of insects are on the move, especially the Bull Ants. 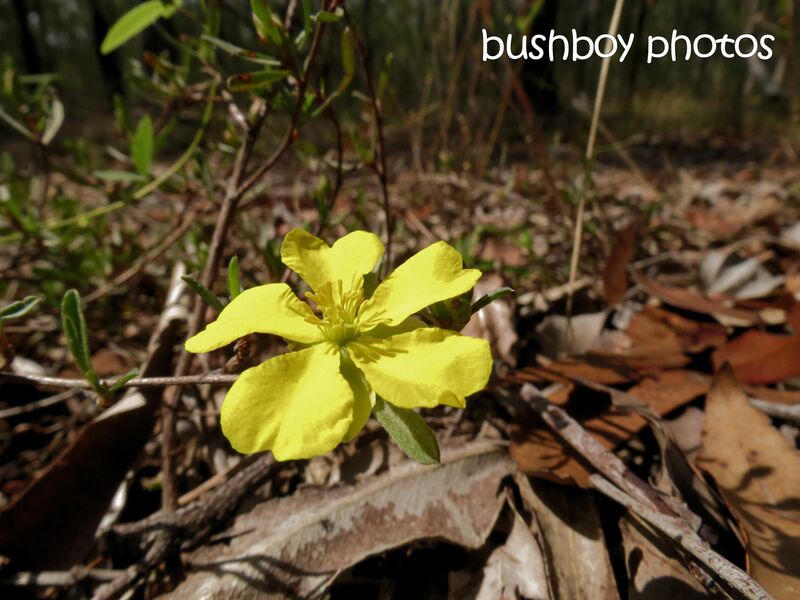 It seemed a bit dangerous to get down to photograph this tiny yellow flower with the Bull Ants prowling about the leaf litter. The birds seemed to like sitting on the dead branches of the trees along the road. This little Robin just sat for a while before hearing a call and swooping away. 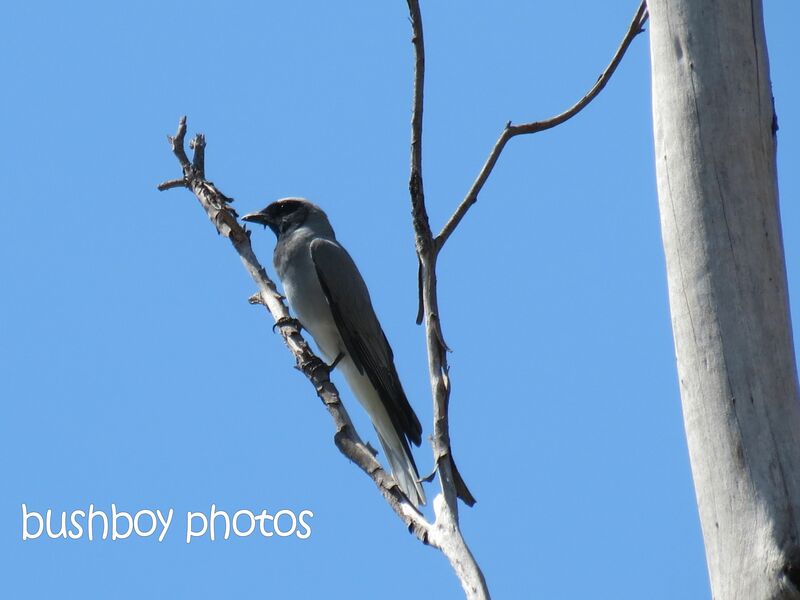 The Black-faced Cuckoo Shrike tried to look like the branch it clung onto. 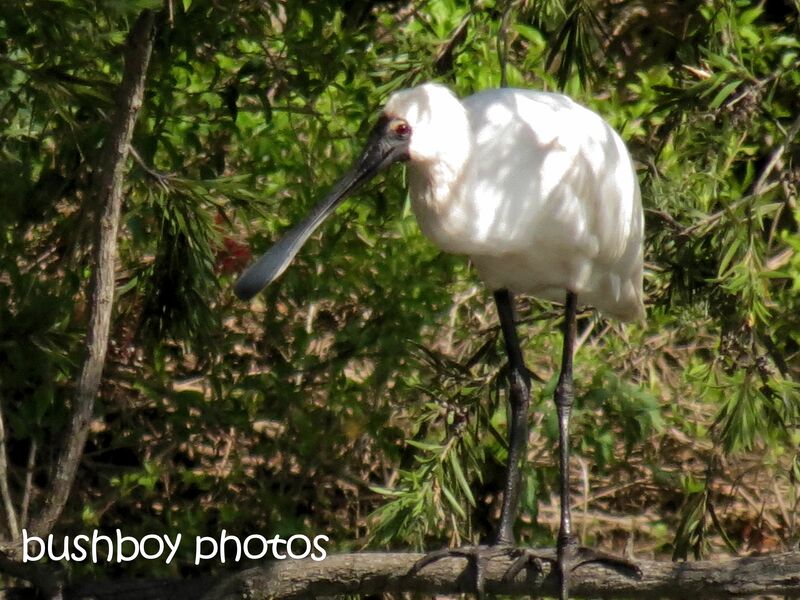 On the drive we came across a couple of Spoonbills sitting on a Bottlebrush. They didn’t seem to care until I got closer, then they the became restless. Overhead a Whistling Kite rode the air currents at speed. I didn’t think I actually got the photo but ended up with two plus a couple of photos of blue sky. We went for a walk to the rock pool on my place. On the way, I found a Satin Bowerbird’s bower that was covered in blue items from all around the neighbourhood. There can’t be too many blue pegs left in the neighbourhood as well as bottle tops! I think this bloke has a hoarder issue. This pool hasn’t dried out, even in the big drys that have happened since I have been living here. This is one of my favourite spots on the place, lovely and cool on hot days. A Yellow-faced Honeyeater came down for a drink while we were having a cup of tea. Although it pretended to be shy at first. 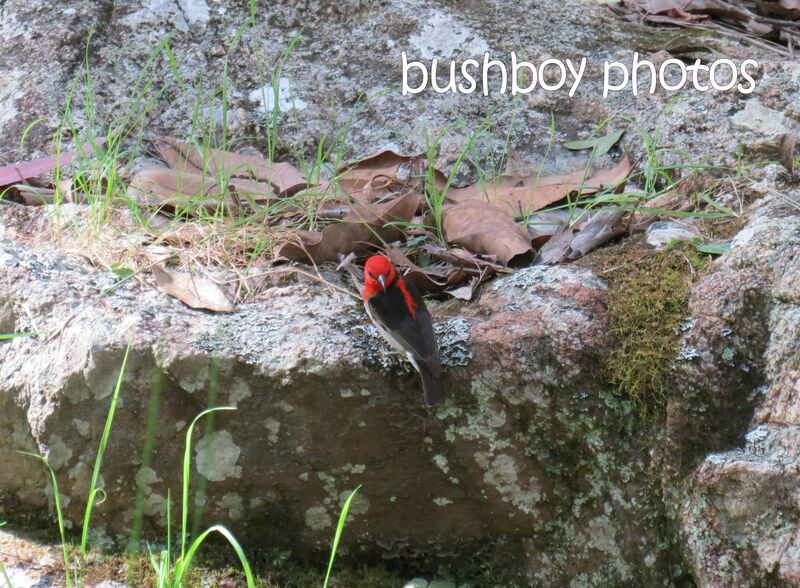 I saw a flash of red and then a tiny Scarlet Honeyeater dropped in for a drink as well. 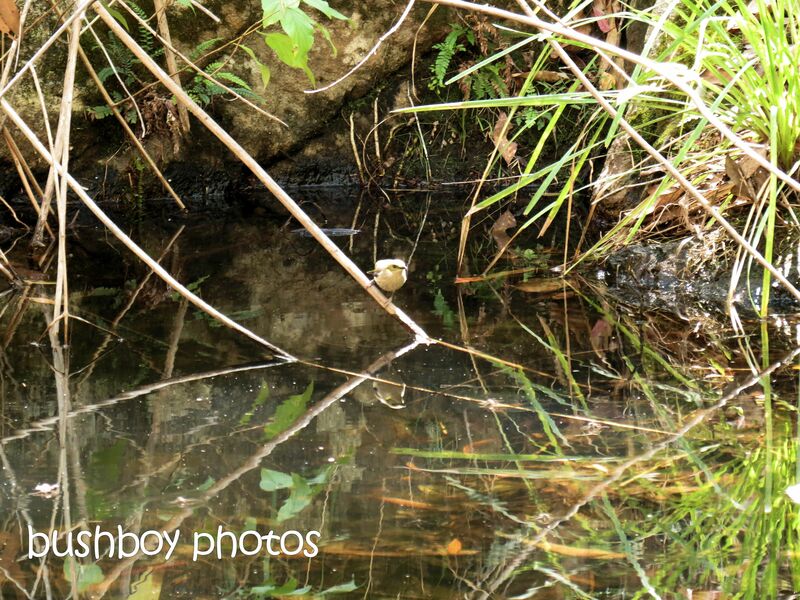 Besides Water Striders, the only other thing in the water was a frog. It splashed into the water and was gone. After a while she came out and sat on the ponds edge. 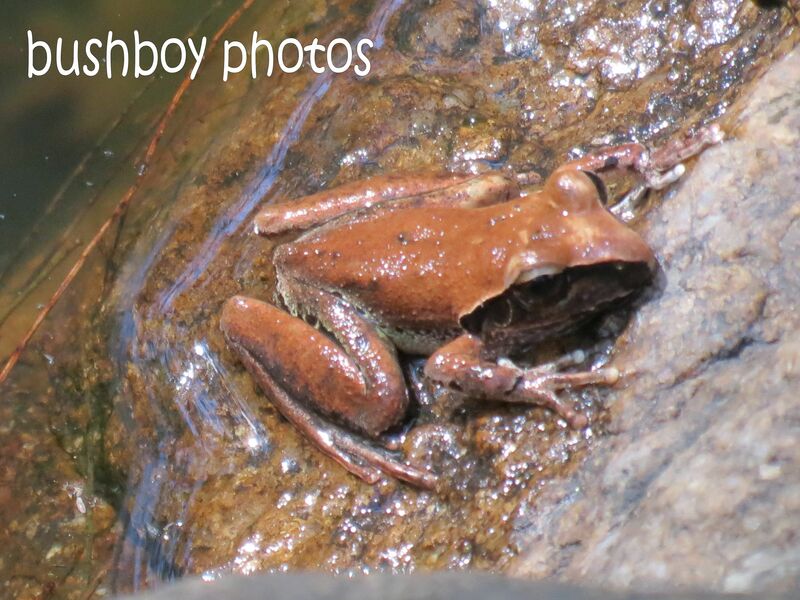 I have heard them, but this is the first time I have seen an Eastern Stony Creek Frog. So the She-oak and a photo of a Spoonbill and the frog were the new discoveries. I wonder what new discoveries I’ll find this weekend. I will take my wildlife camera as well and maybe set it up to see who come to my besties bird bath.